OXFORD, England (CNS) — A spokesman for Egypt’s Catholic Church praised local Muslims for helping embattled Christians after a series of Islamic State attacks in Sinai. Father Rafic Greiche, spokesman for the Coptic Catholic Church, said Christians must differentiate between ordinary Muslims and extremists. 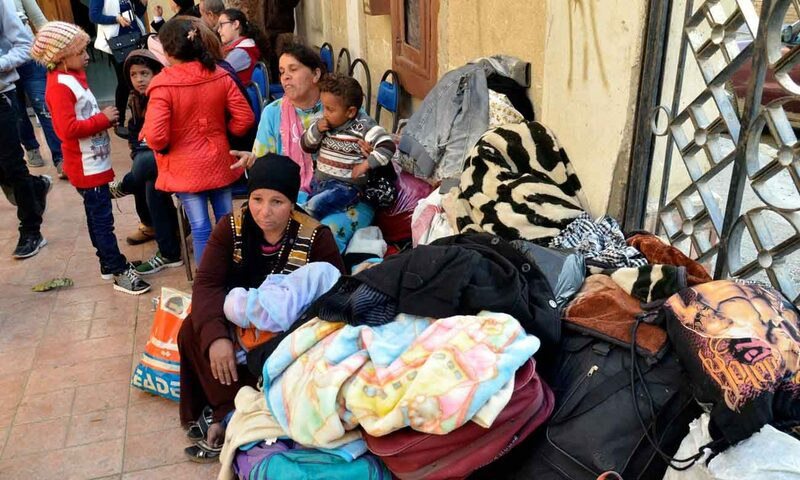 “Ordinary Muslims are kind and try to help however they can — they’re often first on the scene, rescuing the injured and taking them to hospitals,” he told Catholic News Service March 3, as Christians continued to flee Egypt’s North Sinai region. Father Greiche said the attacks had affected only Coptic Orthodox Christians, but added that Catholic churches and schools in Ismailia had offered shelter to Orthodox families with help from Caritas. Father Greiche said Islamic State militants were now “strongly entrenched” in North Sinai, having been allowed by the Hamas and Muslim Brotherhood organizations to use tunnels from the Gaza Strip. The much larger Coptic Orthodox Church, dating its origins from a first-century mission by St. Mark, makes up at least a tenth of Egypt’s population of 82.5 million and has more than 100 churches in the United States.